The Buddha fathered eight princes. Because of the light of the Buddha. Who also became visible through the light of the Buddha. Why will the Buddha enter nirvana so soon? And praised by all the buddhas. While searching for the wisdom of the buddhas. O Mañjuśrī, Heir of the Buddhas! O Heir of the Buddhas, now answer! And all the buddhas have been made visible. To attain the wisdom of the buddhas. Were each seen paying homage to the buddhas. 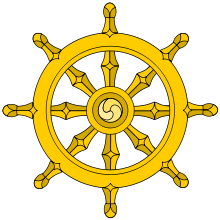 It is the skillful means of all the buddhas. Even in the homage paid by devas and nāgas. For this very reason he was named Yaśaskāma.